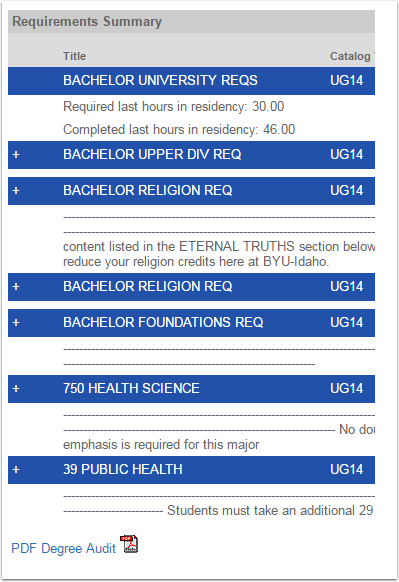 Step 1: Go to www.byui.edu. Step 2: Click on the “Student” tab. 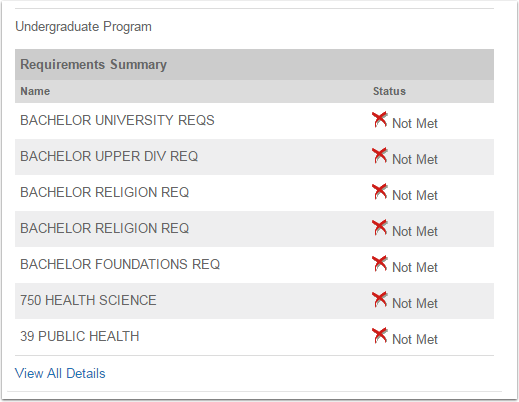 Step 4: Scroll to the bottom of the page and click “View All Details”. Step 6: A new page will open and display the PDF of the Degree Audit. For further assistance in understanding requirements for graduation as presented on the Degree Audit, contact the Academic Advising Center at academicdisoverycenter@byui.edu or through (208) 496-9800.